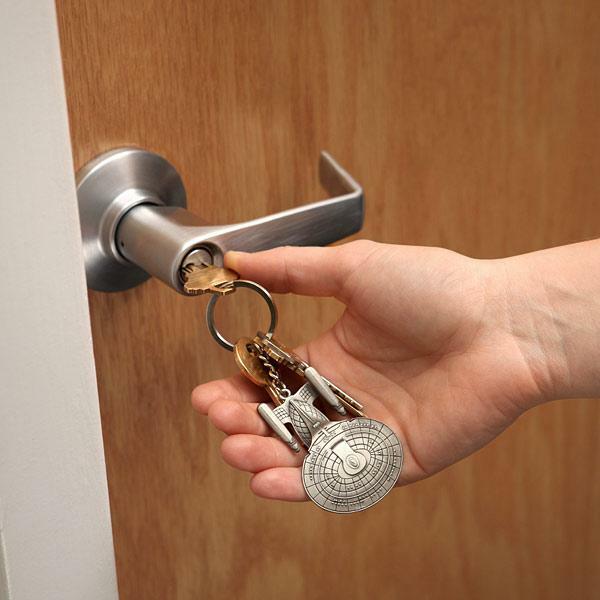 The USS Enterprise has come from the universe of Star Trek to organize your keys. If you’re a big fan of Star Trek, don’t miss the Enterprise keychain. 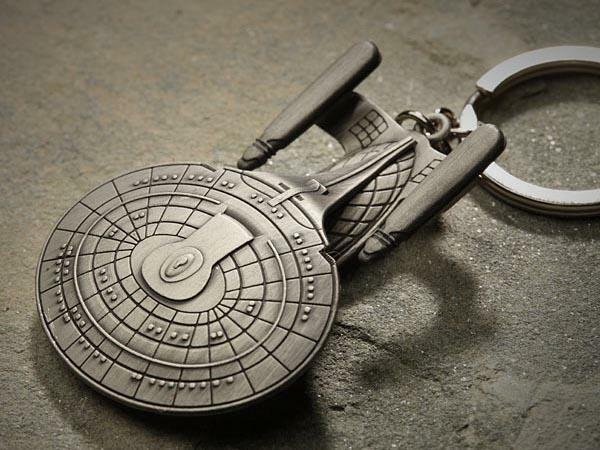 This is a pretty cool officially licensed keychain themed by Star Trek, a famous sci-fi franchise. 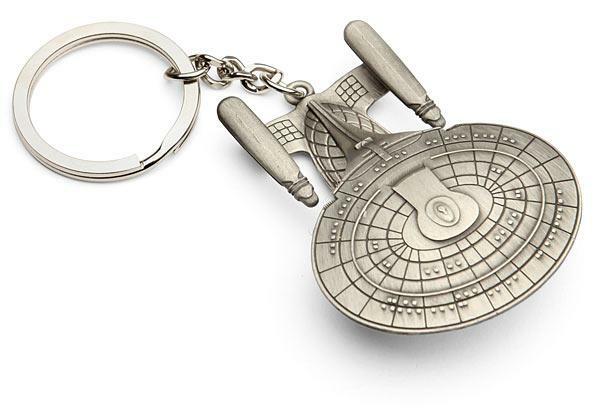 As we can see from the images, the keychain features a mini-sized replica of Enterprise NCC-1701-D, the Federation flagship in the universe of Star Trek, and comes with exquisite details from its original design. Using the attached keyring, you can easily put your keys together, while the mini-sized USS Enterprise ship looks like a guardian for your keys. Apart from that, the Enterprise replica is made from zinc-steel alloy with pewter finish for durability and gorgeous look. The Star Trek Enterprise keychain is priced at $11.99 USD. If you’re interested, jump to ThinkGeek for more details. Additionally, if you need other options, you might like to check the talking Pac-Man keychain, the Minecraft Pickaxe keychain and more via “keychain” tag.